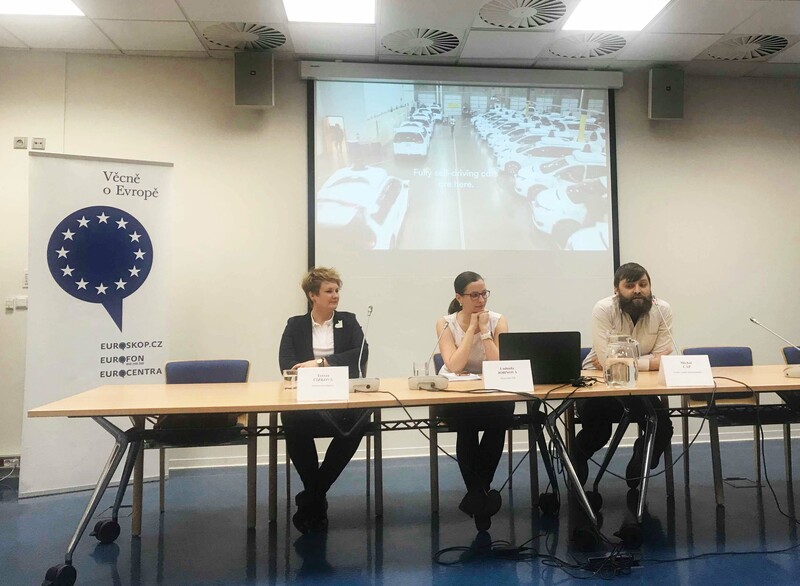 Michal Čáp from the Smart Urban Mobility team participated in the seminar organized by Eurocentrum Praha. The main topic was the use of AI in transportation. We also talked about the future of taxi services using autonomous cars and whether it would be possible in Prague's infrastructure. If you want to find out more about the debate, read the summarizing article (in Czech only).